Black and White dragons join the previous colors, both introducing four new abilities. New dungeon level themes have been added as well. 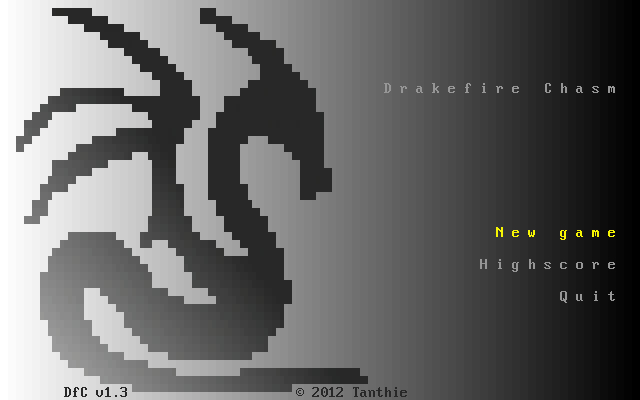 They aren't maybe as drakefiery but I'm sure no one minds a bit of variation. 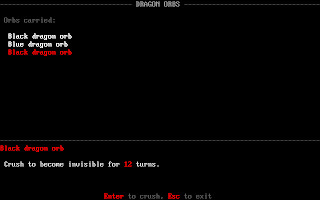 And named adventurers can be encountered between the "boss" levels. They are tougher and should be fought with caution. Especially the rogue and the warrior; they can be very deadly. But no worries. 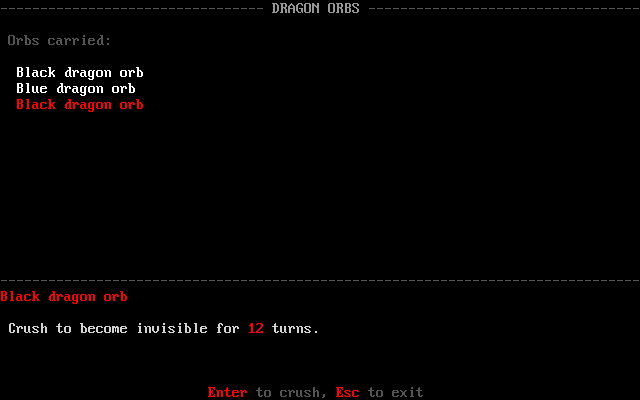 Dragon orbs can be found from dead adventurers, and should provide some emergency aid in a tough situation. Cool, I wasn't expecting this. The midgame is certainly tougher now, with the uniques. I've died a number of times to them, though the final fight is much easier due to the orbs, I think it's possible to win without using bite/devour now. As an aside, ball breath is a very poor choice in my opinion. 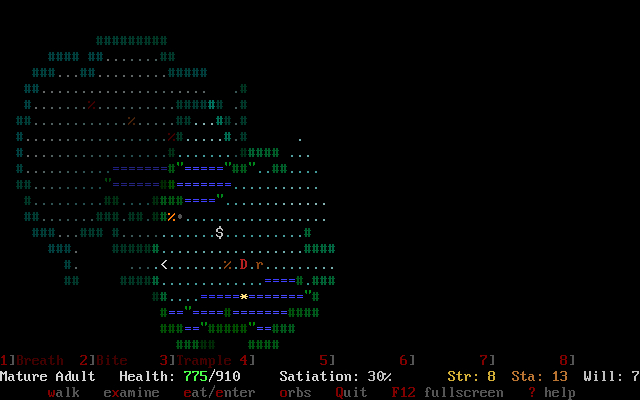 Early on it is too weak to one-shot rats and doesn't seem up to scratch later either. Both cone and line are much better. If you are curious to my general strategy for the game, it is this: Raise stamina whenever possible, gaining skills in this order: Rake, deep breath, bite, devour, frightful presence, gem-encrusted hide, magic resistance, hardened scales, trample and then two of the last tier of abilities. I find the first few will damage abilities too low damage wise to get. Bite/devour are extremely valuable, very hard to win without them. The first two Will abilities indeed feel a bit underwhelming and I've been thinking to buff them. You're also right about Ball Breath. I intended it to be great for the final battle where it can hit most of the enemies at once. But even with Deep Breath and maxed Stamina, it stays weak compared Line and Cone Breaths. I might do a balance tweak release at some point. There's also one thing I wanted to add to 1.3 but ran out of time.